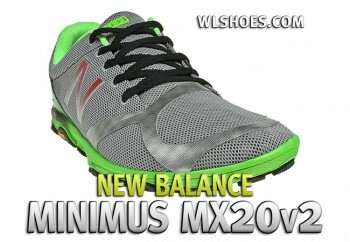 The New Balance Minimus 20v2 made a quieter entry to the market than its predecessor the MX20. The first version was released with advertising showing it being used by top athletes in Crossfit scenarios, making it one of the earlier shoes trying to cater to this growing market. Another New Balance model, the MT10 trail shoe had become something of a cult favorite amongst athletes seeking stability, agility and all round ability. The MT10 was designed first as a trail shoe so while it translated well, there was clear space for a more focused trainer. 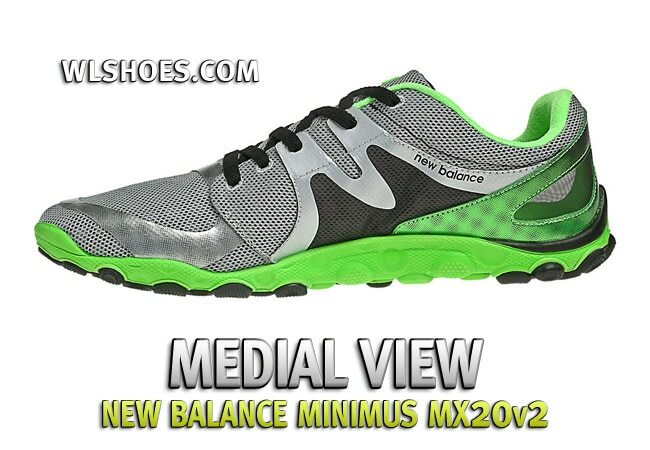 The MX20v1 was a relatively simple shoe, with lightweight mesh upper, low heel-to-toe drop and a flat, broad sole. This sole was perhaps the standout feature as it managed to combine light weight with grip, stability and just enough cushioning to cope with a pounding during intense workouts. NB went crazy with new versions and new models in its minimalist line, first going to zero-drop ultra-lightweight models, then back to some middle ground, which is where the MX20v2 comes in. As the name would imply, this model is an update to the original shoe and takes things in a notably different direction. The first version was simple and honest, if a little goofy. It was a light mesh upper with a very simple sole and even basic color-ways. The new version immediately looks like a much more technical shoe. There appears to be much more molded bracing across the mid-foot, where more color and detailing has also been added, and a unique sole design with specially placed rubber grips over a light EVA midsole. 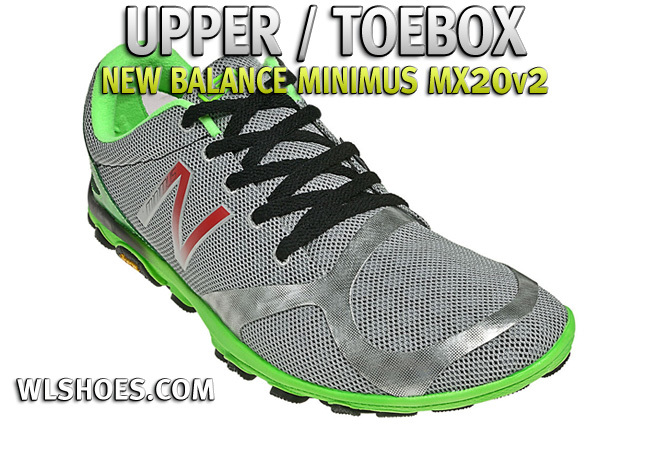 The Minimus 20v2 retains a minimal 4mm heel-to-toe drop of the original, but has an overall lower profile. It appears almost like a cross between the MT10 trail shoe and the previous MX20. The upper is still predominantly lightweight mesh but with molded bracing radiating from the lace area, presumably in the name of increased lateral stability. It achieves this with a very light shoe, but a more locked-down feel than the original MX20. Lacing is simple, adjustable and perhaps a touch higher than before, which adds to the feeling of increased lateral stability. There is again a focus on a fairly broad toe-box, but I would say it feels a touch slimmer than before. It’s not tight by any means, but the overall focus on minimalism has impacted this area as well. The old shoe felt like it just had a bit more room, perhaps excess, everywhere. However, that is not to say this is narrow shoe by any means. Again the Inov8 comparison comes up and these have comfortably more room through the mid-foot and toe-box. 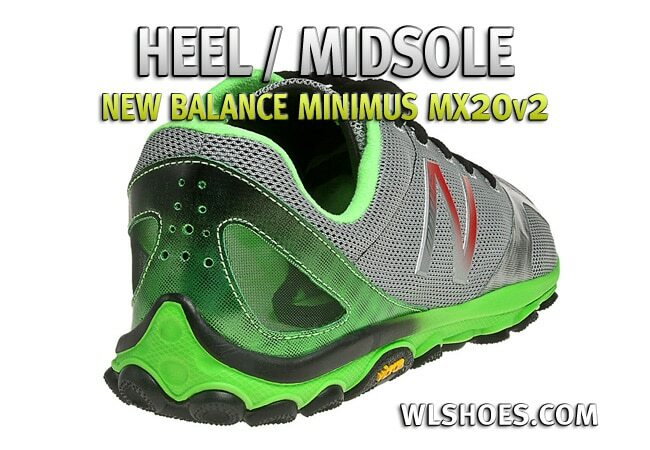 Both models of the MX20 have a pronounced, padded heel cup which is probably the least “minimal” aspect of the shoe. Hard to say why or whether it is really necessary in a shoe aiming to be the slimmest option in its class, but if it is a concession to increased comfort it’s not a bad one! Combined with a smooth and relatively seamless interior we have once again a very fitted but very comfortable shoe. The only pronounced joint inside the shoe is actually between the padding of the heel area through to the super-thin lining of the rest of the shoe, and this is positioned in such a way as to not give any issues to the wearer. The sole is an interesting one, that’s for sure. The dominant material is the softer Acteva Lite foam compound, typical of what is used for the midsole of most shoes to give the required cushioning. This is not hard-wearing nor grippy enough to last in normal circumstances, so NB has added an overlay of grippy rubber in areas deemed a priority for the shoe’s intended purpose. So we see this black rubber under the big toe, across the fore-foot in major contact points, and then again at the heel. The triangular pattern of the mid-sole foam is maintained with more star-shaped cutouts apparently aimed at increasing flexibility at each joint. With these cutouts, limited rubber and thin mid-sole, it is very apparent where the weight has been saved compared to the original model. As expected, the shoe is a solid all around performer. It is building on a great platform in the original version and NB has not been so innovative as to compromise the core performance of the shoe. So it provides a solid platform with the requisite mix of agility and stability desired in a CrossFit oriented shoe. No problem with toe-flex on burpees, jump rope or box jumps, and the rubber sole overlays give plenty of grip just where it is needed. Compared to other offerings from the likes of Reebok, the shoe doesn’t feel as robust and might not cope as well with repeated abuse on rope-climbs and the like. There is no protective rubber through the mid-foot area of the sole, nor up the sides as in the Nano 2.0. However, it is features like this which ensure the shoe leaps ahead in other areas. This is definitely my shoe of choice for running-based workouts. 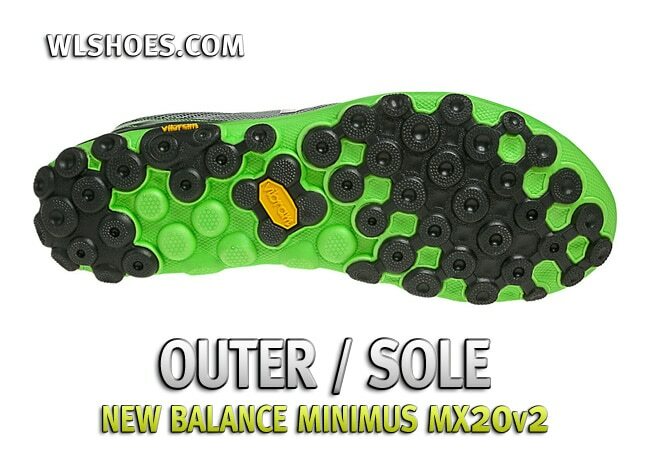 It is much lighter on the foot than the Nano models, and tapers much more like a runner than the original MX20. There is just enough feedback for those used to minimalist running shoes and it is easy to strike up a good fore-to-mid-foot gait, with no slapping and no chunky heel to get in the way. And then when you get back in the gym there is the requisite stability to stay planted in heavy lifts. This shoes is definitely best suited for mixed workouts which include decent cardio and agility components. It can cope with some lifting, but you’ll really want to make the most of its lightness and flexibility on the run. The original MX20 had an odd fit, which meant most people had to size up by at least 1/2 a size. My MX20v1 is a US 9.5 compared to my usual 9.0. It fits well, but there is a tiny bit of extra room all round making it feel a little floaty. The NB 20v2 is back to normal sizing, with a 9 suiting me fine. Overall it is a snugger fit, so there is a very noticeable difference between the slightly sloppy first version and this tied-down update. Of all the shoes in my training rotation, this is the one best suited to replace a traditional runner if needed. Perhaps the only downside of this ability is the overall lighter construction, especially on the sole, which doesn’t look like it would cover the mileage of more dedicated shoes. It is definitely not as solid as the Nano 2.0 (not much is) but this slimmed-down design is perhaps its greatest feature. This shoe is light and once you’re up and moving you won’t think twice about what is on your feet. It’s probably second in my rotation behind the Reebok Nano 2.0, which perhaps edges it out for all round ability, but the MX20v2 soundly beats the Reebok for pounding the pavement. These shoes are not a common sight compared with previous NB models and the ubiquitous Reeboks, but they are worthy contenders when the clock starts in the gym. Your best bet is to get these directly from the New Balance Store or you can try Amazon as well. This isn’t the mx20v2…. this is [link removed]. You are incorrect sir. Feel free to check the new balance site and do not post affiliate links to other retailers in your posts. Im not trying to be a jackass but you do know there are mx20v3? right? Um yes, and it’s a totally different shoe than the one referenced in this article. It is very easy to tell the difference by looking at the soles. And why would you trust an Amazon listing over the ACTUAL manufacturers website? I think you might be confusing the Trail models and the Cross Training models. but if you go on the actual website they don’t come up on search, Im trusting amazon, because and joesnewbalance.com because they are the outlet site for all the new balance outlets. If these were actual mx20v2, there would be an mx in the style # as like the mx20v3 has MX20YB3 the last two letters usually denote color. See the style # on these is MR20BB2 as with the the first review you did on the v1 was the mx20gl. Josh is right, these aren’t the MX20V2 these are the MR20V2 (their style # is MR20SO2). 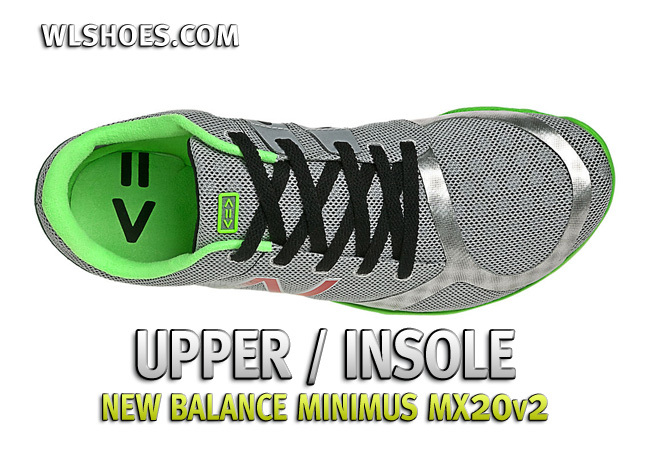 This review covers the Minimus 20 Version 2 model, as the title states. The is commonly, and as you’d pointed out, mistakenly referred to as the MX20 V2 because the original Minimus 20 was considered a Cross-Training shoe. The MX in the model number stands for “Men’s Cross Training” just like the MR is “Men’s Running” and the MT is “Men’s Trail. 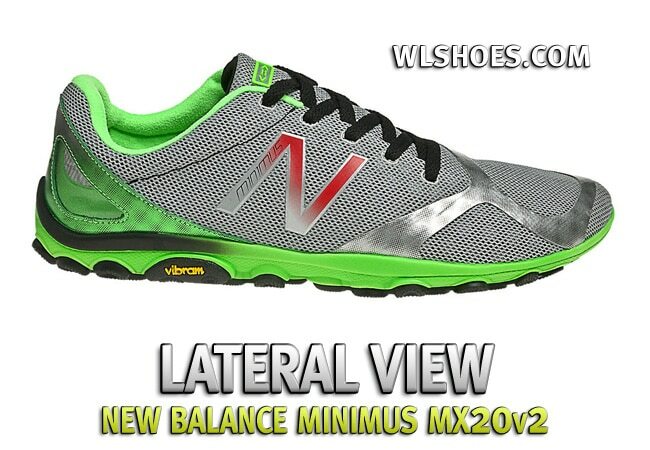 Apparently New Balance decided that for the version 2 of the Minimus 20, they would just make the two variations running and trail – so we have the MR20V2 and the MT20V2. The Women’s versions are named the WR20V2 and the WT20V2. I hope that clears up any confusion on the model numbering. Regardless of the photos used, or whether this model is actually the MX20V2, the review covers the entire Minimus 20V2 line.